Florida Gov. 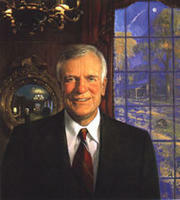 Lawton Chiles recognized that successfully nurturing the state's children required a dramatically new approach. No single strategy was the answer, he believed. No single person, business or organization could meet the challenge. Preparing children for successful lives takes a unified, coordinated, community-wide effort. That's the continuing belief of the Lawton Chiles Foundation, which began an initiative known as "Whole Child Florida". Since 2000, the foundation has worked to unite communities around the goal of providing for children. Pilot initiatives in three counties laid the foundation. Over the years, several others followed. And now, Whole Child has come to Indian River County! Whole Child Indian River is a community wide effort, lead by the Junior League of Indian River, to get our children off to the best start in life by ensuring they have everything they need to thrive. Families with young children often need help: some lack education, information or economic stability, or they may not know where to go for help. Working families often struggle due to a lack of time, information or adequate child care. Other families are strained by the many demands of caring for young children or dealing with a child with special physical or emotional needs. We cannot leave it to government or human service agencies alone to meet the needs of families. Whole Child Indian River seeks to engage the entire community in a commitment to our youngest residents because we recognize their future – and ours – hinges on ensuring the best start for every child. The Junior League of Indian River, Inc. is an organization of women committed to promoting voluntarism, developing the potential of women and improving communities through the effective action of trained volunteers. Its purpose is exclusively educational and charitable. The Junior League of Indian River, Inc. reaches out to women of all races, religions and national origins who demonstrate an interest in and commitment to voluntarism.